“Avengers: Infinity War” hits theaters on Friday in what promises to be the biggest and boldest film of the Marvel Cinematic Universe, and Jimmy Kimmel has noticed the Disney studio has been putting out all the stops to reach the widest audience possible. During Tuesday’s “Jimmy Kimmel Live” the late-night host shared an (obviously fake) promo for the film, which focused less on the punches the Avengers will throw to stop Thanos and more on the sparks that will fly… romantically. “When it comes to the commercials for the film, they’re putting less emphasis on the action sequences and more on the personal relationships between the many Marvel characters,” Kimmel said before introducing the commercial. The minute-long video re-cuts moments from the real trailers with a romantic spin, including a new take on Peter Parker’s introduction to Dr. Strange, and even labels the film “Love Infinity.” Even the Mad Titan himself had a smile on his face. 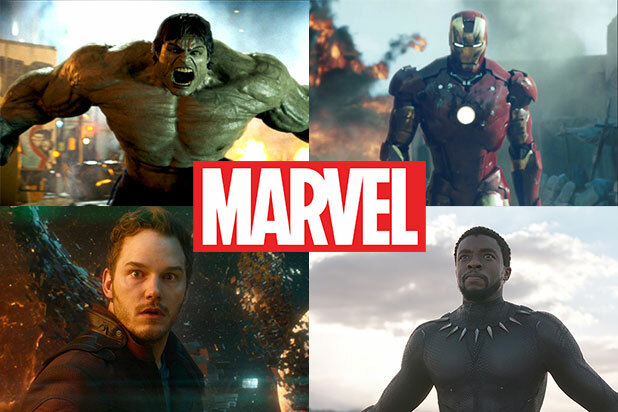 TheWrap takes a look at how the MCU movies have stacked up at the domestic box office, ranked from worst to best, not adjusted for inflation.